How long have you been a resident of Manchester? Attach evidence of acceptance by your school or college. This should be a copy of your letter of admission or your most recent grade report or transcript. What is your program of study and/or intended major? What career, occupation or profession are you planning to pursue? How long do you expect to take to attain your educational goals? List your employment history. Include the name of your employer, the position you held and the dates when you were employed. Include the name of the organization where you volunteered, the position you held and the dates when you volunteered. List the branch of service where you served, the highest rank you held and the dates when you served. Please attach two (2) letters of reference which will help the Selection Committee determine your ability to complete the program for which you are seeking scholarship assistance. Letters may be from employers, teachers, or personal friends who can speak to your ability to complete your goals. Please attach a copy of your 2018 Federal Income Tax Return. If you DID NOT file a return for the past year, please attach a statement why you did not. Do you receive or expect to receive any other form of financial assistance (including family assistance)? If yes, please state source(s) and the amount below. Do you have any outstanding student loans? I affirm that, to the best of my knowledge, all information provided is correct and I understand that I am responsible for submitting this application by the deadline. 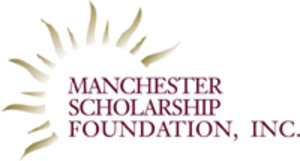 The Manchester Scholarship Foundation reserves the right not to process applications found to be late or incomplete as of the application postmark deadline. By clicking SUBMIT on this application, you are affirming that, to the best of your knowledge, the above statements are correct. ALL INFORMATION PROVIDED BY THE APPLICANT WILL BE HELD IN STRICT CONFIDENCE AND WILL BE VIEWED ONLY BY THE MEMBERS OF THE SELECTION COMMITTEE.